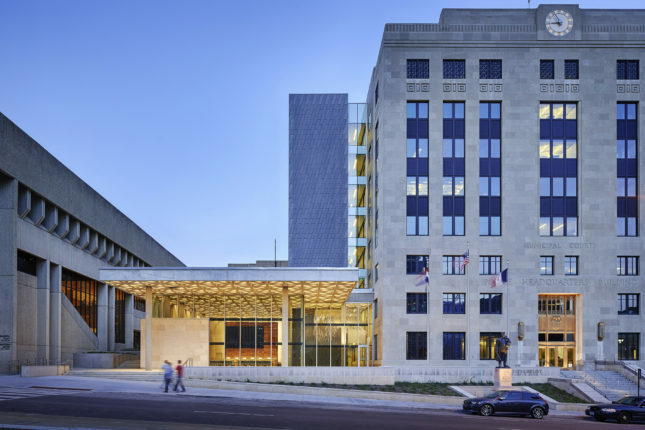 Kansas City, Missouri’s hot, humid summers and cold winters pose a special challenge for AEC industry professionals when it comes to facade design and construction. 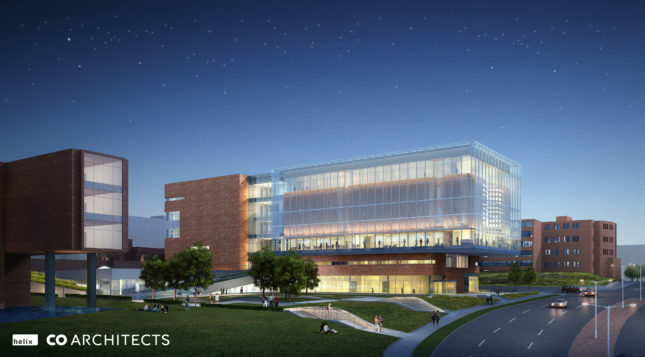 “We deal more with vapor control through our building skin, making our building more efficient from that standpoint—adding more insulation, but also trying to not create problems with that,” explained Helix Architecture + Design‘s Miranda Groth. “We haven’t been able to be as experimental with our facades as, for example, Seattle or even Boston.” Groth, along with Anthony Birchler of A. Zahner Company, is a co-chair of the Facades+AM Kansas City symposium September 15. In addition to grappling with the city’s unique climate, said Groth, “We’ve been slow on the uptake with energy [efficiency] because energy’s been cheap in the Midwest. It’s harder to make the case to clients.” One workaround comes of collaborating with fabricators like A. Zahner Company. (Zahner VP Anthony Birchler is the other Facades+AM Kansas City co-chair.) In those cases, factors including aesthetics can help tip the scale in favor of green design. 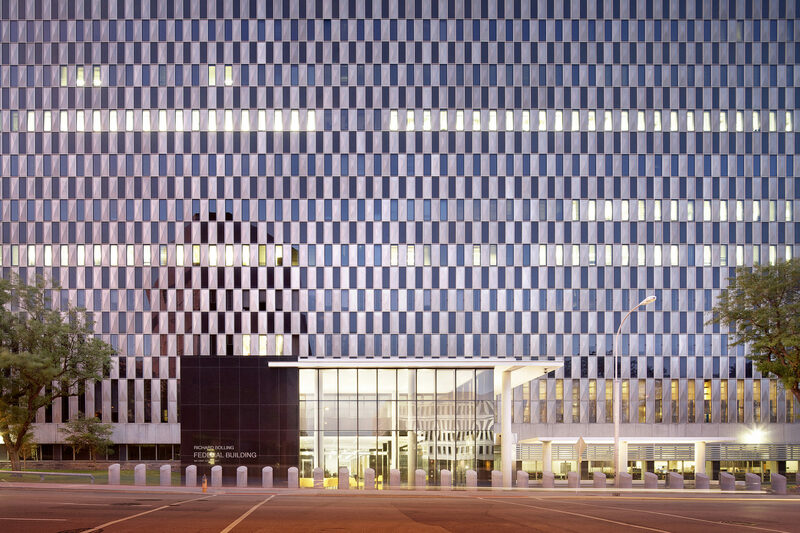 In terms of innovative facade design opportunities, said Groth, Kansas City is a hotspot for adaptive reuse. “Right now there’s a huge shift to go back downtown,” she explained. “Even buildings as recent as those built in the 1960s have hugely inefficient envelopes. We’re now going in and trying to retrofit them to be more energy efficient.” The city is also a center for sports architecture. “I see a lot of those firms pushing new innovations on what to do with building skins,” said Groth. Hear more from Groth and other facades experts at Facades+AM Kansas City. Space is limited; register today to secure a spot.